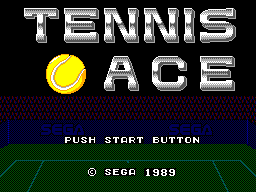 80 CVG magazine "Complete Guide to Sega"
On your first serve, the ball explodes off your racquet like a fiery missile. Instinctively you move toward the net. Your opponent returns your serve, but you're ready for him. 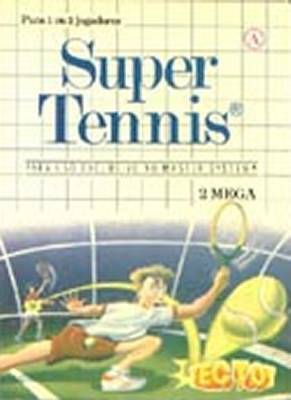 With lightning speed you raise your racquet and smash the ball. He never had a chance. 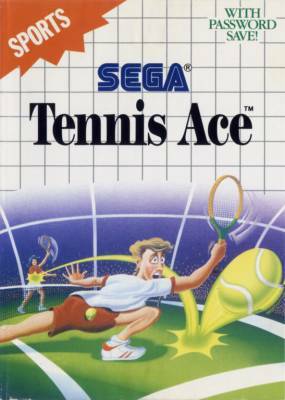 You're the Tennis Ace! Different screenshots on the back. White cardboard box without mark. White cardboard box with (A) mark and alternate folding.